Having a wide choice of third party applications is one of the most beautiful things that Android has to offer. Almost every app has its alternative. So if you don’t like a particular offering, you can easily replace it with another–hopefully much better–alternative. Naturally, the same thing applies to Internet browsers. Chrome or Firefox doesn’t necessarily have to be your default choice. Some lesser known projects maintained by one or a few developers are often better than big boys made by corporations. One of the smaller projects that is worth taking a quick look at is Pale Moon Browser. This browser was ported to Android by XDA Recognized Developer cyansmoker. 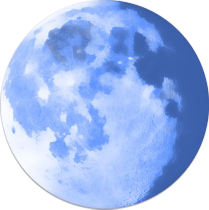 Pale Moon is fully open source, Firefox-based browser. It is focused on speed and efficiency. To that end, the developers take special care to add only crucial functions and keep the application as light as possible. Pale Moon has earned some fans on Windows and Linux already, and now Android users can enjoy this project because Cyansmoker delivered his source-built browser port. The current build is considered an Alpha version. As such, the application is still at very early stage of development and may not work on every device. It likely depends of CPU architecture, so only certain devices should be able to run this browser successfully. You can find more details and the download by heading over to the Pale Moon Browser application thread. Feel free to go there and give it a try.